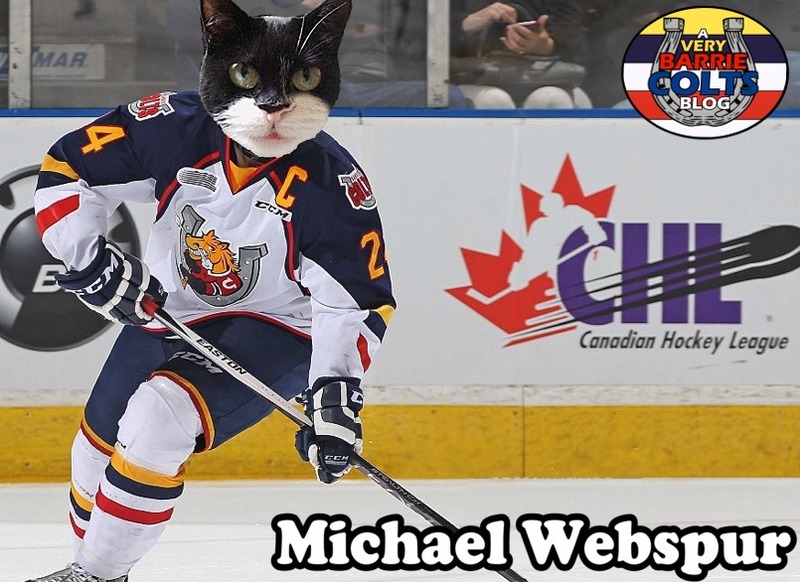 Michael Webster signs with WBS Penguins. 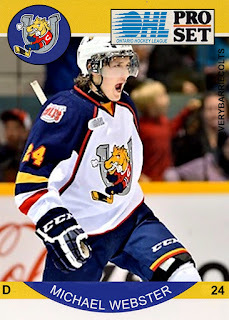 #AHL #OHL - Very Barrie Colts | A website covering the Barrie Colts of the OHL. 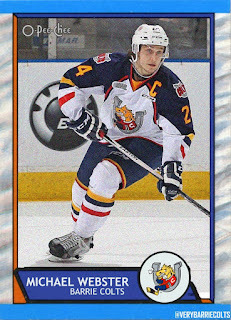 It was announced that former Barrie Colts captain, Michael Webster has signed a contract with the Wilkes-Barre/Scranton Penguins of the American Hockey League. The contract is for the 2016-17 season. Webster is coming off his best OHL season with the Barrie Colts which saw him set a career high for goals with 9 and assists with 35 for a total of 44 points. Over 4 seasons he totalled 18 goals and 77 assists for a total of 95 points in 254 regular season games played. 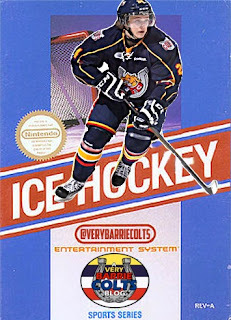 In his final season, he helped the Colts reach the OHL Eastern Conference Finals until he got a 10 game suspension for a questionable hit in their series with Niagara. Here is a post we did on that. 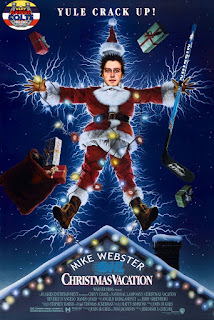 In 54 playoff games, Webster got 15 assists and totalled 17 points. His leadership grew over the time he spent here which is why his captaincy being named after former captain Joseph Blandisi joined the Devils organisation after his over age year was a no brainer. 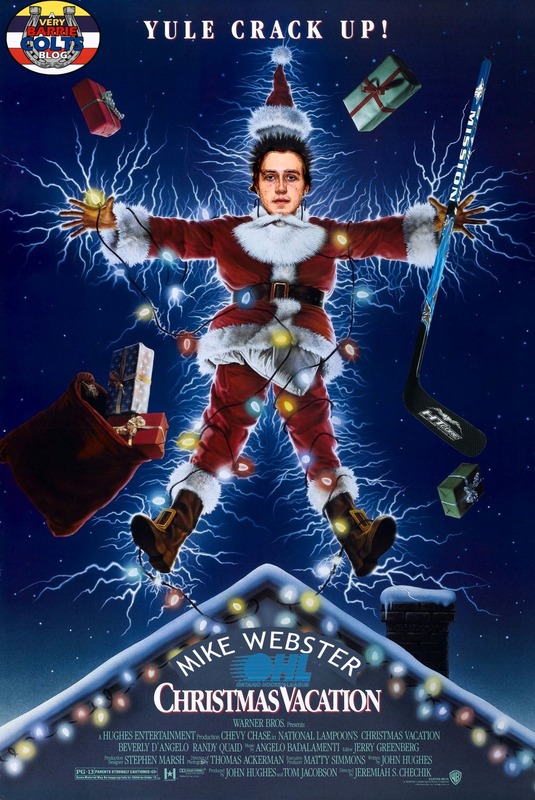 Webster, not only developed off of the ice but as his point totals show, he really found his grove over the years getting four times the point production in his final season compared to his rookie year. 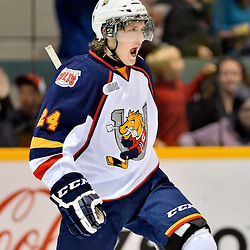 His captaincy with the Colts ended with him winning the Mickey Renaud Captain’s Trophy which is awarded to the OHL captain who exemplifies leadership on and off the ice. He was nominated two times for the OHL’s Dan Snyder Memorial Trophy for outstanding community service. Locally over his 4 seasons in Barrie he raised about $50,000 dollars for causes. $21,000 of that came this past season which he helped raise for the March Mullet Foundation who helps raise awareness and educate on mental health issues. He also dedicated time weekly to LIFT which is a program to help young teens. He could easily be found all over Barrie doing great things for great causes, oh and at certain sandwich shop having his picture taken while eating some of the best food the city has to offer! 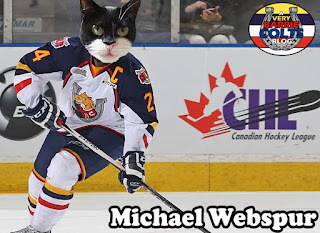 He also was #TeamWebster on Rogers TV show, Barrie Fantasy Hockey League which saw him, former teammate Brandon Prophet as well as members of the Colts media and a few others (me.. Yeah, I won.) in a NHL fantasy league. Being on the show, I got the chance to film and hang out with him and he really was a nice guy. A good sense of humour and was kind. Webster will no doubt be a great addition to the Baby Penguins and we would like to wish our captain the best of luck! For your viewing pleasure, here are some of the shops we put together of Webster over the years!